To celebrate the first anniversary of Hotel Eden’s reopening, Hôtel Plaza Athénée has invited executive chef Fabio Ciervo to its iconic restaurant Le Relais Plaza from March 19 to March 23, 2018. Fabio Ciervo from Hotel Eden, Rome, will cook alongside executive chef Philippe Marc at Le Relais Plaza, adding an Italian flair to the restaurant’s menu. Ciervo will offer a variety of dishes for lunch and dinner, inspired by his creations at Il Giardino Ristorante & Bar in Rome. The menu includes Tuna Tartare with Guacamole and Chive Oil, or Courgette Flowers stuffed with Ricotta and Taleggio, Black Olives and Cherry Tomatoes to start. Followed by a Veal Tenderloin with Lemon and Capers, Spaghetti with Clams, Garlic and Parsley, or Burrata with Artichoke and Extra-virgin olive oil. Finally, the Tiramisù, Baileys and Coffee Ice-cream is the perfect way to end the meal on a sweet note. 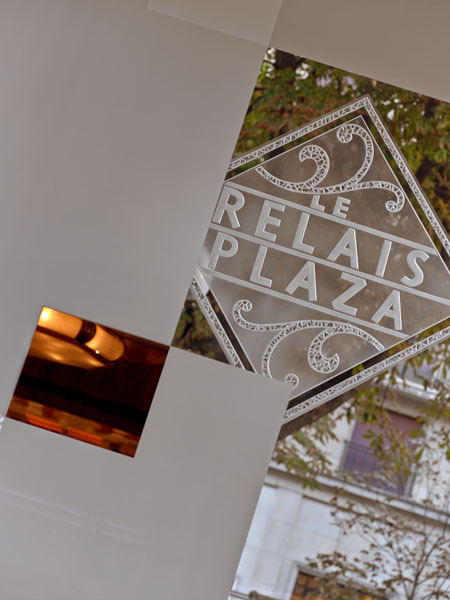 Le Relais Plaza’s Italian Menu is priced at 54€ (for two courses, drinks not included) or 64€ (for three courses, drinks not included), served at lunch and dinner. 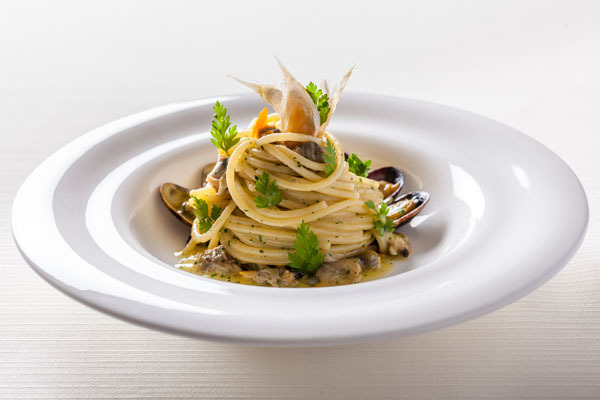 À la carte options include two starters, two dishes and two signature desserts by chef Fabio Ciervo. Lunch is available from 12.00pm to 2.45pm and dinner from 7.00pm to 11.30pm. Intimate table available on demand. Possibility to partially privatise the restaurant, for up to 40 people. – Well-being, thanks to new recipes created to fit contemporary lifestyles and to satisfy nutritional needs in a healthy way. – Ingredients, through a careful selection of seasonal products from organic agriculture, thus allowing the characteristics of the ingredients to best express their natural properties. – Taste, with the mix of flavours which, when perfectly balanced, enhance the food’s texture and guarantee its delicious taste. – Innovation, through the continuous study of the latest scientific methodologies, approved by researchers and nutritionists, to improve the nutritional system. – Art, aesthetics, creativity and design are highly valued by the chef. 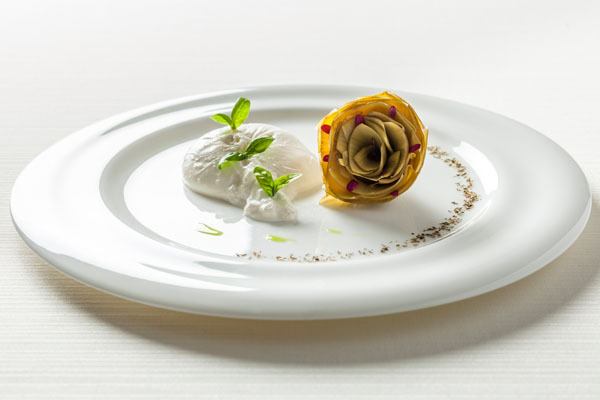 Each of his creations reveals its own character thanks to a clever combination of symmetrically-arranged ingredients and geometrical presentation of the dish. 1979: Fabio Ciervo was born in Sant’ Agata de’ Goti, a small village in the heart of the Benevento province, nicknamed the “pearl of Sannio” for the beauty of its historical centre. He grew up cultivating two passions: cooking and sport. Two seemingly different activities, which however share the values of discipline and the spirit of sacrifice. This led to his interest in developing a nutritional system attentive to the physiological needs of the body, backed by scientific research. At the age of 14, Fabio enrolled in Benevento’s hospitality school, where he began his career as a chef. 1998: Fabio graduated and decided to pursue his training abroad. In London, he worked as a commis chef with Adriano Cavagnini at the Italian restaurant of the Grosvenor House Hotel, and collaborated with Nico Ladenis. He also occasionally attended the workshops of the French gastronomy school, École Lenôtre. 2003: Fabio returned to Italy as executive deputy chef, at the demand of Adriano Cavagnini who wanted to work with him once again, but this time in the kitchen of Hotel Eden in Rome. 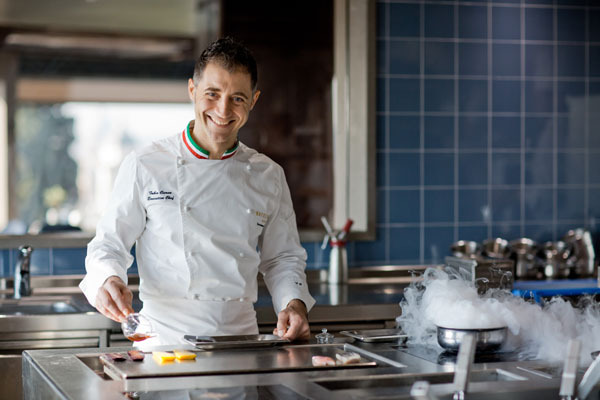 2010 was the year of Ciervo’s return to Italy: Hotel Eden called upon him to lead the hotel’s gastronomic offer as executive chef and to manage a team of 30 people. At the end of 2012, at the young age of 32, the chef obtained his first Michelin star, a worldwide recognition that confirms the positive evolution of his work and the quality of his experience. In November 2015, Hotel Eden closes for renovation work, Fabio Ciervo personally designs the kitchen. Measuring 200 m2, it is one of the most beautiful in the world with its incredible views over Rome and uses state-of-the-art technology and scientific instruments such as ultrasonic cooking. 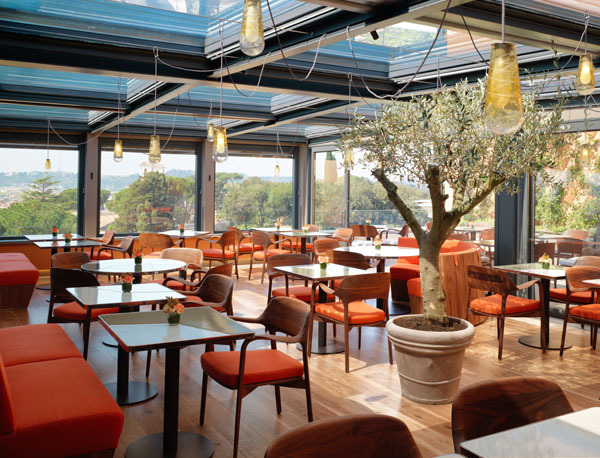 In November 2017, only seven months after Hotel Eden’s reopening, the fine dining restaurant La Terrazza regained one Michelin star. 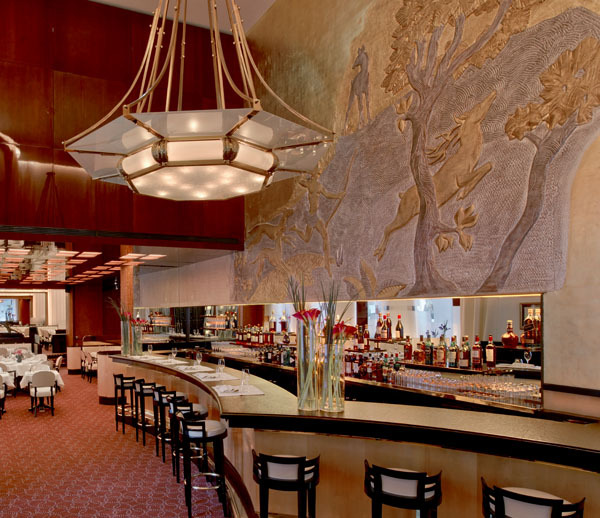 Dorchester Collection includes some of the world’s most beautiful hotels located in Europe and the United States. Drawing on its unparalleled experience and ability to acquire and manage hotel gems, Dorchester Collection’s mission is to develop an impeccable hotel portfolio. The objective is to bring together the world’s most beautiful hotels by directly acquiring its properties, managing the management of hotels, whether they have been acquired in part or in full, or by managing them through a management contract. For more information about Dorchester Collection, please contact Julia Record.